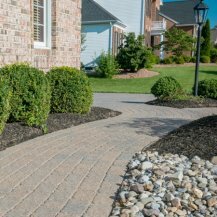 Walkways and patios are important elements in every landscape. Just like plants, they require regular maintenance to ensure their lasting beauty and value. Our proven process will keep them looking new and protect them from stains, fading and surface deterioration. Do you have unsightly stains on your driveway, patio or pool deck that just won’t go away? Are your retaining walls or pavers covered in a white chalky deposit or poly haze? We can help. Our specialized cleaners will safely remove most stains on brick, pavers, cement, or natural paving stones. 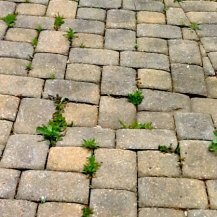 Are your pavers, brick or flagstones looking tired and worn? Are you tripping over sunken pavers, steps or uneven edges? Our Certified Restoration Specialists can make the repairs. It’s an affordable alternative to replacing the entire patio or walkway. 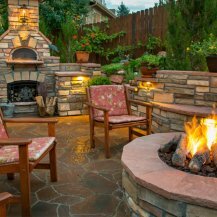 Hardscape surfaces are damaged by harsh weather and acid rain. Pavers should always be sealed after installation to keep them looking new. But cleaning and sealing will also rejuvenate older pavers. Our high-performance sealers will protect your paved surfaces and maintain their beauty for many seasons. Moss and Weeds in Your Patio? We use specialized pressure washing equipment to deep clean the surface and joints. Then we install new polymeric sand to inhibit weeds, reduce moss and deter insects. We save you time and money by reducing the amount of maintenance your hardscape requires. The Paver Savers are certified, professional contractors with over 40 years of experience in all phases of hardscape design and installation. Our crews have the products, technology, and the experience to deliver the quality results you expect. We are the experts in repairing and protecting patios and walkways – it’s all we do!